The state is making a strong case for new business, and landing more corporate facility projects per capita than any other state is the ultimate victory. 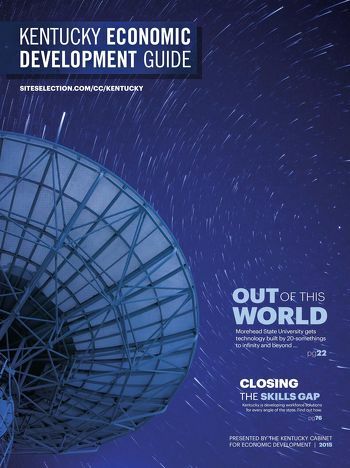 Finding missing comets isn’t the only work taking place in Kentucky’s aerospace sector. Kentucky is already known for its horses and bourbon. Now there’s another industry that’s making waves in the Commonwealth: aluminum. The growing trend toward organic food and the increasing need to understand where food comes from isn’t just for humans anymore. From creating the most pioneering business environments to mentoring students who build life-saving mobile-apps, Kentucky’s colleges and universities are turning students and entrepreneurs into the next great innovators.